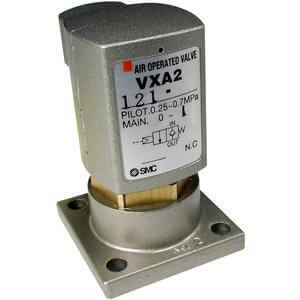 VXA direct air operated 2 port valve for manifold is available in a common SUP style or individual SUP style (for vacuum use). Applicable fluid includes air, medium vacuum, and oil. Flow rate ranges from 0.38 to 1.1.